The beautiful, rural county of Shropshire is home to some of the most renowned food and drink producers in the country. Whether you are looking for locally brewed beers, luxury chocolate, artisan bread, exquisite cheeses or Michelin Star chefs, Shropshire has it all. Over the summer months, why not spend some quality time treating yourself to some of the culinary delights that Shropshire has to offer? 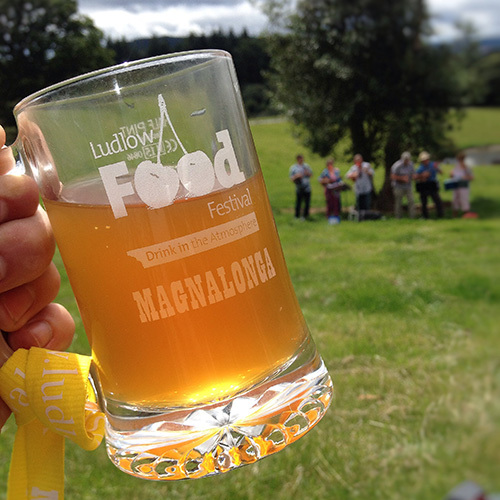 First up is the wonderful MAGNALONGA, the mouthwatering food and drink walk that takes you in and around the foodie centre of South Shropshire, Ludlow. Don’t be put off by the ‘walk’ for Magnalonga’s walk is a leisurely, fun walk that takes you on footpaths and tracks through the unspoilt countryside around the town. What makes Magnalonga such a fantastic day out is the organised pit stops along route! During your walk, you make several stops during which you partake of a course of a meal based on the local produce of the area, all washed down with a local real ale, local perry or cider, or another locally produced drink (don’t panic, you will also have plenty of bottle water to keep you hydrated!). Inspired by a similar event organised by Ludlow’s twin town of San Pietru in Cariano, near Verona in Italy, the Ludlow Magnalonga is now in its thirteenth year. Right at the end of your summer (although undoubtedly the weather will be better than when the kids are actually off school! 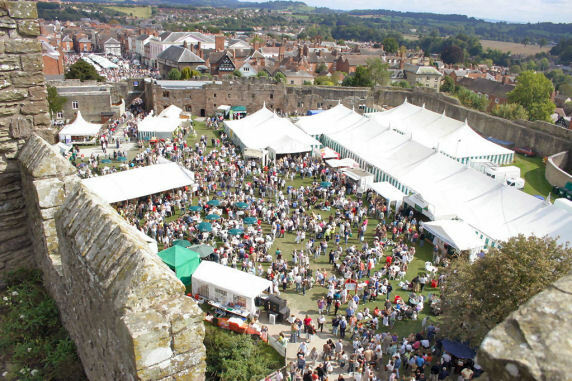 ), is the fabulous LUDLOW MARCHES FOOD & DRINK FESTIVAL. This is a fantastic event for all the family as the whole town celebrates food and drink, with children’s events, chef demonstrations and stalls containing some of the finest food and drink from the county. The event, which started in 1995, began as a way of celebrating and promoting the incredible local food and drink producers as well as bringing people into the picturesque town of Ludlow. The festival sets up trails throughout the town, allowing for visitors to explore all of Ludlow and experience its history, culture, shops and pubs! Ludlow is now home to some of the country’s finest chefs, including Christopher Bradley (Mr Underhill’s, Michelin Star but currently closed), Clive Davis (Green Cafe, Michelin Bib Gourmand holder) and Cedric Bosi (Charlton Arms) to name but a few. 2015’s festival was another huge success with free kids cookery, live music and a huge party in the castle grounds. 2016 promises to be bigger still. Don’t miss out – visit http://www.foodfestival.co.uk/ for more information. 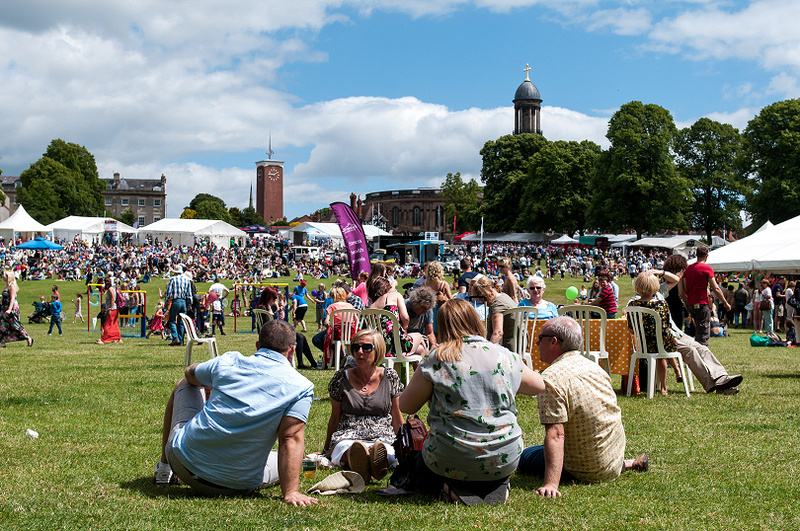 If you can’t wait until September for a food and drink spectacular, then you must take in the SHREWSBURY FOOD FESTIVAL in June. With chef demonstrations, free cooking and activities for children, live music and over 200 exhibitors, there really is something for everyone. 2016 marks the fourth year of the Shrewsbury Food Festival, with the organisers welcoming visitors back to the beautiful Quarry Park in the centre of Shrewsbury. Local producers dominate the line-up and the whole event really is an incredible celebration of Shropshire food and drink production. From real ales, to locally produced meats and cheeses, to demonstrations from the county towns top chefs, the Shrewsbury Food festival is well worth a visit. For information on recommended places to eat and drink throughout South Shropshire and Ludlow, please visit https://www.visitshropshirehills.co.uk/food-drink/.